Despite rumors of war, the year 1941 dawned on Guam on an optimistic note. The ill-effects of the Great Depression were virtually gone. The U.S. Congress had finally appropriated millions of dollars for various capital improvement projects, including dredging and expanding Apra Harbor, erecting much-needed fuel tanks and converting the Agana power plant from coal to oil. Jobs were becoming plentiful, particularly to hundreds of young men who lost jobs as a consequence of budget cuts in previous years. Several major companies commenced operation in Guam, including Standard Oil of California and Pacific Commercial Cable Company, and Pan American Airways began recruiting local men for work at Wake, Midway and Canton islands, where the leading American commercial airline was expanding airport facilities at these island-hopping mid-Pacific points. 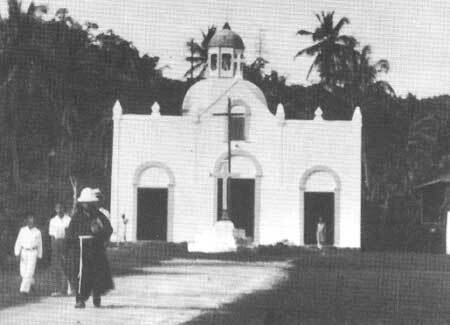 Although 1941 dawned on an optimistic note, by the end of the year war had come and taken not only the church at Sumay village, but a way of life. The local Navy command also was in a recruiting mood. 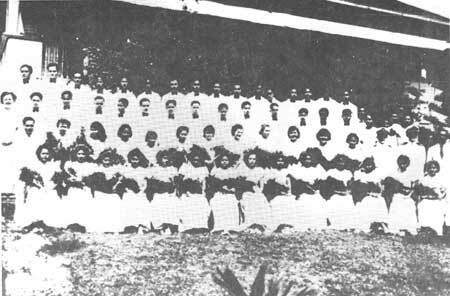 More than a hundred young men joined the mess attendants branch of the Navy, increasing the number of Chamorros in the Navy to more than 600. Another 110 young men were accepted in the re-organized Guam Insular Force, establishing a guard unit to handle security assignments. The Guam Militia, whose formation went back to the early period of the Spanish regime, could count on several hundred men. Although the American Congress was dominated by isolationistspeople who opposed foreign entanglementsand was adamant against extending U.S. citizenship status to America's Pacific territories, the people of Guam felt deeply that America would live up to the principles for which she was known throughout the world. From the advent of American administration at the turn of the century, the Chamorros were unrelenting in expressing their desire for American citizenship. They had supporters in and outside Congress such as Senators Ernest Gibson (R-Vt.) and Millard Tydings (D-MD) and the American Civil Liberties Union but they couldn't overcome strong opposition by the Navy Department, which felt that because of international uncertainties, particularly the deteriorating relationship between the United States and Japan, that it was not the appropriate time to consider the question of U.S. citizenship for the people of Guam. In any event, said the Navy, the Chamorros were being treated as well as American citizens. To most Chamorros, it was unimaginable that Japan would even consider challenging the supremacy of the United States, a country that was at least ten times larger than Japan, its population about three times more, and its natural and material resources immensely more bountiful. The might of Uncle Sam was simply awesome and indestructible in the eyes of the Chamorros of Guam. Lobbying for U.S. citizenship on behalf of Guamanians in 1936 were B.J. Bordallo and Francisco B. Leon Guerrero. After 40 years of association with America and exposure to the ways of Americans, it was unthinkable for the people of Guam to consider adopting any other relationship. As the venerable Francisco B. Leon Guerrero used to say, "there is only one 'ism, and that is "Americanism." 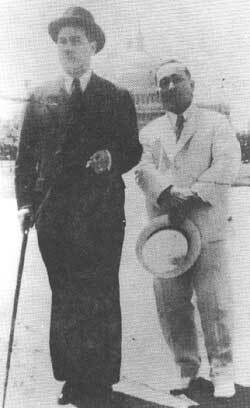 It was Guerrero and Baltazar J. Bordallo who journeyed to Washington, D.C., in 1936 to lobby for U.S. citizenship. Proposed legislation was introduced in both the U.S. Senateby Gibson and Tydingsand in the House of Representatives by Congressman Kocialewski, but the bills died in committee. Notwithstanding the troubling sense of uncertainty, the people of Guam pursued their daily lives as they had done for hundreds of years. To most families, the farmlands strewn throughout the island, from Yigo at the northern end of the island to historic Umatac at the southern tip, provided most of the basic necessitiescorn, taro, yam, coconuts, bananas, citrus fruits and the like. The ocean was still a dependable source of food although the Chamorros, were no longer pre-eminent fishermen and deep-sea divers, as they were before and during the early Spanish regime. By 1941, the Americanization of Guam was a dubious, success. The Chamorros had been ingrained with the virtues of democracyfreedom, liberty, representative government, the right to vote, et cetera, although their exercise was greatly limited. The naval governor still had absolute authoritylawmaker, chief executive and supreme judge, all in one. In other words, there had been no fundamental change in governmental authority since Spanish Captain Don Francisco de Irrisari y Vinar assumed the position of governor of the Marianas in 1676. Francisco B. Leon Guerrero used to say, "there is only one 'ism', and that is 'Americanism'." Automobiles, were fast replacing the bullcarts, the predominant mode of travel and transportation in yester-years. Don Pedro Martinez, among the first Chamorros to obtain higher education in the United States, was the dealer for the best cars from DetroitNash, DeSoto, Chevrolet and other products of General Motors. Many homes were blessed with telephones and one could call a friend or relation by simply dialing three or four digits. More and more homes boasted having flush toilets and running water. Electricity was no longer a rare commodity and the cost per month ranged from $3 to $5. Butter and cheese, corn beef and cabbage, pork and beans were cheerily adapted into the local menu. The tobacco companies found eager clientele for the likes of Camel, Lucky Strike, Old Gold, Chesterfield and Philip Morris, best sellers since '99. Among the most popular American movie stars were Errol Flynn, a flashy debonair, Spencer Tracy, James Cagney, Gene Autry, Roy Rogers and Dale Evans, Diana Durbin, Bobby Breen, Nelson Eddy and Jeannette MacDonald. Shirley Temple, of course, was loved by all. The local theaters the Gaity and the Aganawere popular entertainment centers, especially on Friday and Saturday nights when they offered prizes, particularly in a roulette-type game called "Screeno." A lively baseball game (above) at the Plaza was a favorite way to pass an afternoon. Among the local baseball teams was the Department of Education team (left). Basketball was a favorite as well. This team (far left) features Joaquin Manibusan (front center), now a Superior Court judge. 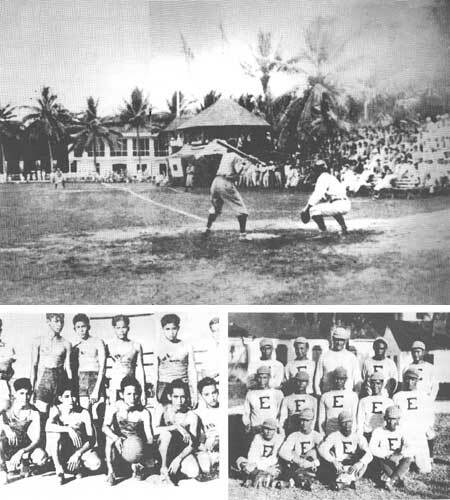 The national past-time of baseball was by 1941 well-established, with local aggregations such as the Agana Cubs, KCK (Knights of Christ the King), Education, the Carabaos, and the Guam Institute generally more than equal to the military contingents and visiting servicemen. The diamond stalwarts included such players as John (Korori) Camacho, Joaquin Atoigue, Charlie Perez, Tas Salas, James Sablan, Bill Lujan, Ben Zafra and Juan Muna. To most Chamorros, it was unimaginable that Japan would even consider challenging the supremacy of the United States, a country that was at least ten times larger than Japan. The boxing game was ruled by such fighters as Slugger Quitugua, Mauling Maanao, Tommy Cruz, Rocky Aflague, Battling Mariano and Nick de Mike. Almost annually, the local pugilists would travel to Cavite in the Philippines to light such Filipino battlers as Young Teddy and Baby Grande, or the Filipinos would visit Guam and fight the locals at the Agana Stadium, which was usually packed to the rafters during these popular confrontations. Guam's top wrestler was the redoubtable Joe Sudo, who was supreme in the scientific approach to wrestling. Angel Santos, a behemoth of a man, became an overnight hero when he challenged and demolished a Japanese import who came as an added attraction to a mini-circus brought from Japan. Except for minor criminal activities such as thievery and street fighting, Guam was as peaceful as an earthly tropical paradise can be. A man's word of honor was sacred. Properties were sold or exchanged without any legalistic formalities. Door and window locks in the homes were rare. Families left their residences in Agana and spent days or even weeks at family ranches without worrying about their personal belongings. Their neighbors were as trustworthy as their kin. In fact, it was a common practice for neighbors to share their fortunes, good or bad, be it a cup of ground coffee, a quarter pound of sugar, a palmful of salt, a half dozen eggs or ten pounds of shank. The rebuilding or repair of a home was a communal endeavor, with family and friends working together to get the job done, usually within a day or two. Many hands make a big job easier. 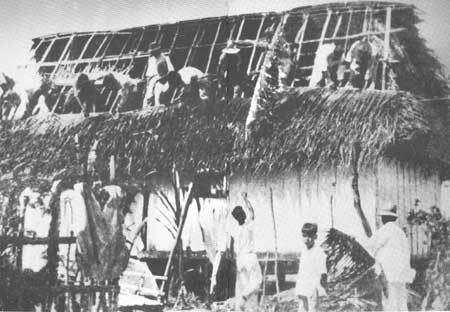 Family and friends often worked together to build or repair houses. Outside the immediate family, the center of existence was the church, the bulwark of society. Domestic problemsand to some extent, civil squabbleswere often resolved by the clergy. Most districts of the ancient city of Agana, and every outlying village had a patron saint. Annual religious processions were held honoring San Antonio, San Ignacio, Santa Cruz, San Nicolas, San Jose, San Dionisio, Santa Maria, Santa Ana, San Miguel, Santa Rosa, San Roque and San Vicente, to name some. Attending Sunday Mass was not a matter of choice. It was inbred into the very being of most Chamorros. Most infants were given names based on the feast day of a particular saint. Names such as Sally, Cindy and Andy were a no-no in homes where saintly icons were revered. Divorce was anathema and an invitation to ostracism. To the Chamorros, in other words, the virtues of Americanism were worthy of emulation and adoption, but so were the high values inherited from more than two centuries of Spanish rule and influenceincluding the virtues of personal honor, respect, collective and family responsibility, and spiritual well-being. To the Chamorros, the virtues of Americanism were worthy of emulation and adoption, but so were the high values inherited from more than two centuries of Spanish rule and influenceincluding the virtues of personal honor, respect, collective and family responsibility, and spiritual well-being. To the Chamorros, in other words, the virtues of Americanism were worthy of emulation and adoption, but so were the high values inherited from more than two centuries of Spanish rule and influenceincluding the virtues of personal honor, respect, collective and family responsibility, and spiritual well-being. Although the island was at peace, there were nevertheless signs and rumblings about the possibility of war. From time to time, there were black outscaused not by snakes but were duly scheduled as a matter of training. A small Japanese fishing boat went aground at the southern end of the island. The 20-man crew were found not to be fishermen but were a cadre of intelligence operatives, according to local authorities. A group of American Marine officers visited the island for the sole purpose of reviewing various elements in the map of Guam, re-visiting the coastal areas and re-identifying the location of rivers and streams, water wells, highways and side roads. The sound of planes flying over or near the islandat nightwere reported on several occasions. The weekly arrival of Pan American's famous Clippers were invariably during daylight hours, so these aircraft must not be ours. 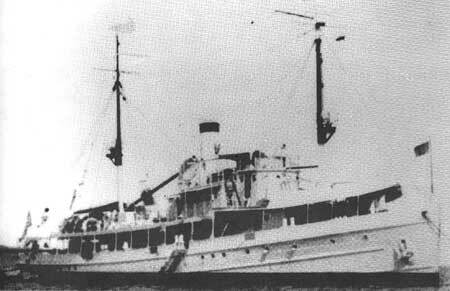 The several lookout posts manned by members of the Insular Force Guard reported sighting massive ships bound to or from Saipan on a number of occasions. A small police unit kept tab of the activities and movements of the island's Japanese nationals, about 50 of them. Our neighboring islands of Rota, Tinian and Saipan were closed ports, and outsiders were, of course, not welcomed. The clearest indication of impending trouble came about on October 17 when all American dependents (except one) were evacuated from the island, bound for safe ports in Hawaii and the West Coast. The sole exception was the wife of a Navy chief who was expecting to give birth anytime. Notwithstanding these premonitory indicators, the general consensus was that if there was to be an armed conflict between America and Japan or any other country, such a confrontation would be somewhere far from Guam's shores, and that Uncle Sam would prevailwith ease. And Japan was considered among the least likely of adversariesa third rate power in the eyes of the citizens of Guam, an unworthy challenger to the might of America. The weekly arrival of Pan American's famous Clippers were invariably during daylight hours, so these aircraft must not be ours. Guam's faith in America received a severe jolt, however, on the morning of the eighth of December, 1941. 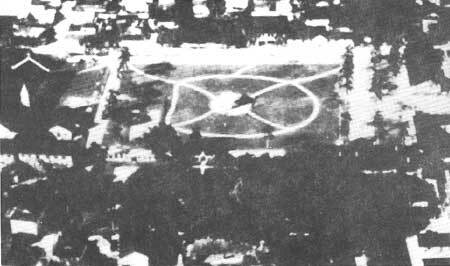 Nine silvery planes followed the sun from the east, flew over Agana and as people watched in awe, unloaded bombs at the Sumay Peninsula, striking part of the recently renovated Pan American Hotel, blasting one of the new fuel tanks and peppering away at selected targets at the western promontory. Some of the people who watched the action in the sky were in shock, believing those planes were part of the American Pacific Fleet, soon learning otherwise. Nowhere on land was there artillery to counter-attackthanks to the 1922 Naval Disarmament agreement whereby the United States, Great Britain and Japan agreed not to fortify their respective overseas territories, the U.S. complying with the accord, and Japan rejecting the agreement in 1935 and proceeding to arm its far-flung empire, including the mandated territories in Micronesia. The U.S.S. Penguin, sunk by her crew off Orote Point, after an exchange of fire with attacking Japanese planes on the morning of December 8, 1941. One of her crewmen, Ensign Robert White, was killed during the attack. Many suffered injuries. The air invaders then proceeded to take on Guam's only seaworthy vessel, the USS Penguin, an antiquated minesweeper converted to a tugboat that had seen better days in the North Sea during the First World War. As best they could, the Penguin crew faced the buzzing planes, counter-attacking with the only anti-aircraft gun on the island. The brief but explosive battle ended when Ensign Robert White, who was manning the anti-aircraft gun, was hit by machine gun fire and died on the spot. When the planes departed, flying northward toward Saipan, the Penguin crew decided to scuttle the Penguin. The ship's valves were loosened, condemning the valiant vessel to the bottom of the sea, about a mile off Orote Point, and became among the first casualties of the Pacific War. By noon on the eighth, most of the people in Agana and Sumay had fled to outlying areas, and the city and town became ghost settlements by nightfall. The day had begun with much promise and happiness. It was the feast of the Immaculate Conception, a holy day of obligation honoring the Virgin Mary. By sundown, it had become a nightmare. The enemy aircraft returned on the ninth, roaring over the island, dropping bombs here and there and strafing selected targets. It was obvious, even to the Japanese, that Guam posed no threat. Destroying public and commercial facilities that they were sure to seize would be unwise, thus the selective attack. After consulting with his military aides, including Colonel McNulty of the Marines, Naval Governor George McMillin decided to deploy the 153-man Marine contingent at Orote Point, and the rest of the military force, including the Insular Force Guard, in Agana. Thus, the Marines would defend the western part of the island, and the Insular Guard and Navy the central part, principally Agana. The most potent weapons of the Agana defenders were three machine guns, several automatic rifles and pistols and little else. Indeed, there were 85 Springfield rifles, World War I vintage, with labels reading; "Do not shoot. For training only." As one can imagine, the defendersdeployed generally within the Plaza de Espana perimeterwere as ill-prepared as a military force can ever be. The Insular Force guards were organized a mere six months earlier, and no one had ever fired a real machine gun before. Most of the Navy personnel were trained in administrative and other non-combative work. They included storekeepers, hospital corpsmen, radiomen, yeomen and administrative aides. The Japanese force, on the other hand, was well-trained, well-equipped, and well-disciplined. Many of the 5,000 invading force had combat experience in Manchuria, Shanghai and Nanking. The special navy striking force of some 500 and based in Saipan had undergone war maneuvers, with Guam as the prime invasion target. As it turned out, the special naval force did all the fighting. Members of the unit sneaked into Apurguanbetween Tamuning and East Aganaat about 3 a.m., cut down everyone on sight, including 13 members of the Limtiaco family of Piti who were rushing to Yigo in a sedan converted to a jitney. By the time the invaders reached Agana, at least 30 people had perished. Plaza de Espana was the center of civic, religious and social activities for years. In December 1941, it became the site of a courageous struggle and ultimately a humiliating surrender of American soil. The day had begun with much promise and happiness. It was the feast of the Immaculate Conception, a holy day of obligation honoring the Virgin Mary. By sundown, it had become a nightmare. Meanwhile, the South Seas Detachment, with more than 4,000 soldiers, had planned to land in Merizo and march on to the Apra Harbor area via Umatac and Agat. But as meticulous as the Japanese were, they discovered too latethat there was no road between Umatac and Agat. So the invading force had to cancel the Merizo landing and moved on to Facpi Point, west of Orote Point. By the time this force reached its new beachhead, the smaller naval force had reached the Plaza de Espana and forced a surrender after a brief but violent exchange of fire. By early morning on that fateful day, the Plaza de Espana, site of countless civic, religious and social functions throughout the ages, was transformed into an arena where America suffered its second humiliation in seventy-two hours and where Imperial Japan seized its first American territory, the beginning of its cherished goal to establish a Greater East Asia Co-Prosperity Sphere by conquering most of Asia and the Pacific. None of these men saw themselves as warriors, ready to fight in defense of their faith and nation. But caught in the web of tragedy, they did what they had to do. Among the men whose blood was spilt at the Plaza and its periphery was Ben Chargualaf, an Insular Guard ammunition carrier who stuck to the end, assisting Pedro (Pedang) Cruz in manning a machine gun at the northeast corner of the Plaza; Roman Camacho, a young civilian camera-bug who saw in a machine gun a protective shield against an advancing enemy, only to die from bullet and bayonet wounds; John Kauffman, a young Marine orderly whose twitching eye was perceived by a Japanese soldier as a show of mockery; Angel Flores and Jesus Cruz, Insular Guardsmen; Malvern Smoot, a Navy chief; and J. Kluegel, an American civilian. None of these men saw themselves as warriors, ready to fight in defense of their faith and nation. But caught in the web of tragedy, they did what they had to do. And knowing the circumstances under which they fought, they achieved the highest in human attainmentheroes of the first order. The world may not know it, but we doand that's what counts. 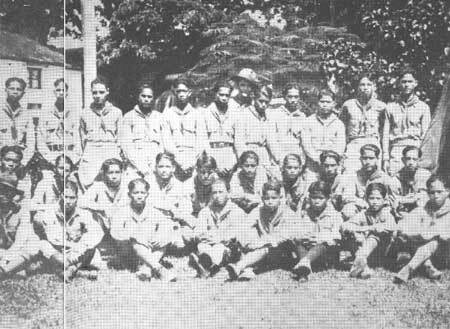 (left) Boy Scouts of America, Guam Chapter. From left, front: Daniel Torres, Teddy Taitano, Joe Nededog; unidentified, unidentified; Greg Unchangco, Manuel Bias and Robert Flores. Second row: Augusto Calvo, Elo Calvo, John Cepeda, John Borja, Julio Camacho and Pete Siguenza. Third row, standing: Carlos Gutierrez, John Rivera, Ben Guerrero, Adrian Sanchez, John Mendiola, Luis Perez (with hat), Joaquin Flores, John Rojas, John Tuncap Taimanglo, Benny Butler, Kin Salas, and Ben Champaco. (far left) Seaton Schroeder Junior High School graduates, class of 1936. Shown with the young graduates were Simon Sanchez, Superintendent of Schools,, Principal Agueda Johnston, and teachers Eugenia Underwood Robinson, Maria Leon Guerrero, Cynthia Torres, Lagrimas L.G. Untalan, Carmen Ojeda Herrero and Reverend Joaquin Sablan.